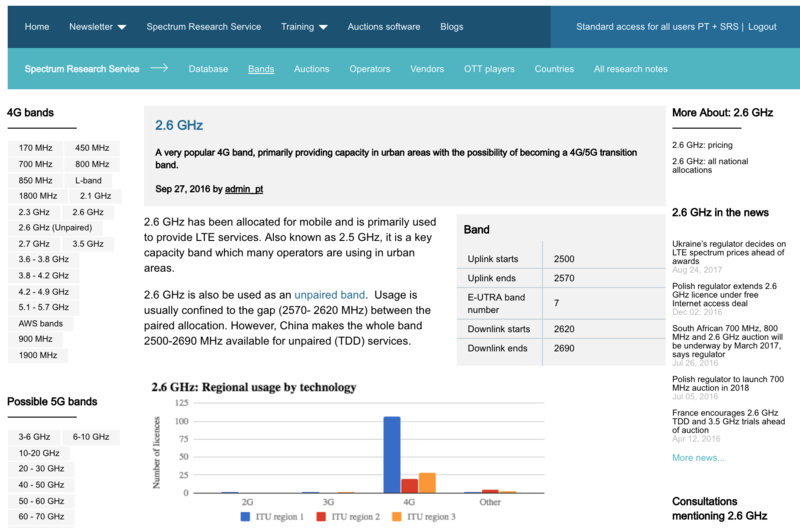 PolicyTracker’s Spectrum Research Service is an indispensable online resource for spectrum managers and wireless industry professionals, providing a 360-degree view of mobile spectrum utilisation worldwide plus analysis of the key trends shaping the future. This brand-new research service leverages PolicyTracker’s unparalleled experience in spectrum policy and our enduring engagement with industry stakeholders around the world. Providing rich data and a long-term strategic perspective, the Spectrum Research Service is the perfect complement to PolicyTracker’s spectrum management newsletter. PolicyTracker’s data and spectrum expertise was recently used in a European Commission 5G study. Our Spectrum Database contains detailed historical data for thousands of mobile and wireless broadband licences worldwide. This comprehensive resource is an essential tool for identifying global and regional trends, finding unassigned spectrum, calculating operators’ international footprints, and benchmarking spectrum prices. The Spectrum Dashboard is the leading authority on current mobile frequencies and the bands which could be used for 5G. spectrum utilisation and policy developments. stored in a searchable online database. Covers all the major mobile bands: 450 MHz to 3.5 GHz, plus 26-32 GHz. PolicyTracker’s newsletter is the only news publication to focus on spectrum policy. The Research Service includes an unlimited subscription for your whole organisation covering the daily email updates, consultations service and access to our 12 year archive. Our analysts are on hand to answer any questions you have relating to the service content. Your annual subscription includes up to 6 hours of analyst enquiry time, which can be drawn down as and when needed during the year. For further information about PolicyTracker’s Spectrum Research Service, including a brochure and data sample please complete this form or contact Martin Sims (martin [@] policytracker.com or +44(0)20 7100 2875) for a demonstration.